Enjoy the best of both worlds in a secluded setting just minutes away from the heart of Provo. Set on the tranquil shores of Long Bay Beach, this exclusive resort is defined by a spirit of relaxed elegance. Impeccable service and bespoke luxury set the stage for an idyllic vacation experience. Thoughtfully designed rooms and suites overlook the turquoise waters of Long Bay and feature beautiful furnishings inspired by their island home. The resort offers a state-of-the-art fitness center and indulgent spa experiences. 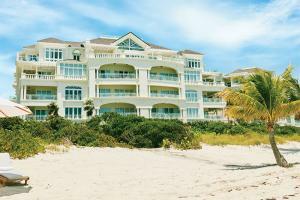 Approximately 10 miles from Providenciales International Airport. Three restaurants and three bars onsite.